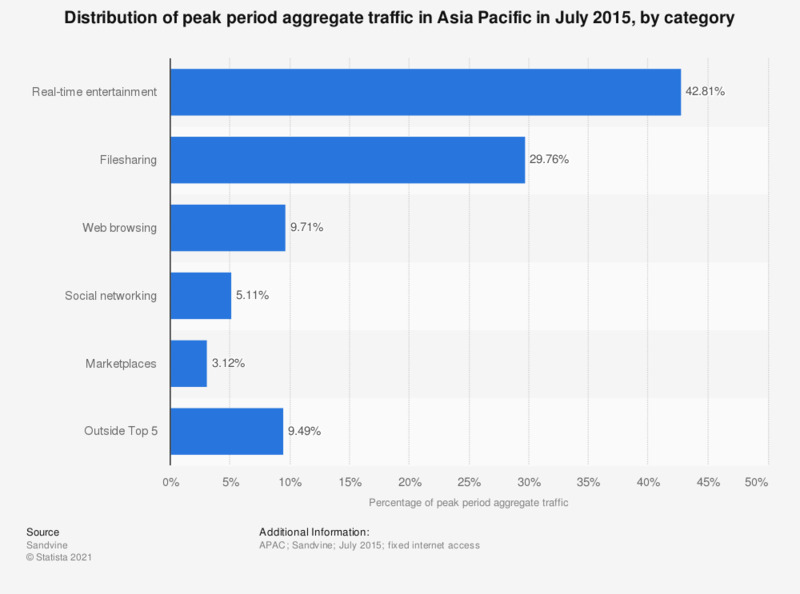 This statistic illustrates a distribution of peak period aggregate traffic in the Asia Pacific region in July 2015, by application category. During the survey period, real-time entertainment accounted for 42.81 percent of peak period aggregate traffic in the Asia Pacific region. Fixed access network traffic does not only include devices such as a laptop or desktop computer but also game consoles, settop boxes, smart TVs, tablets, and mobile devices being used within the home.